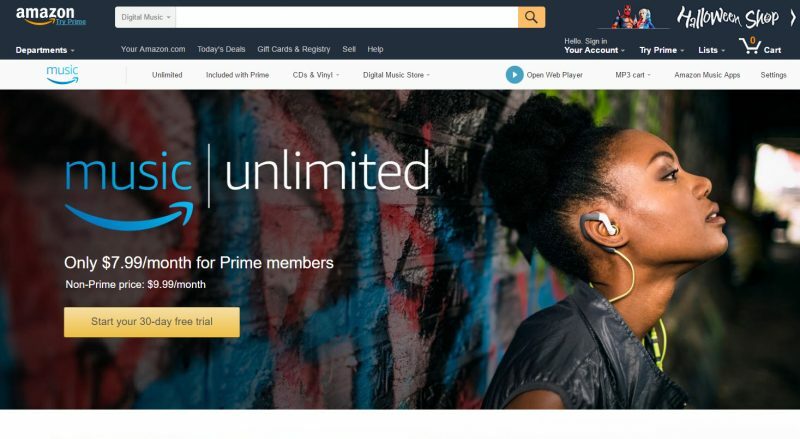 Amazon has been quite busy over the past few weeks, launching several new services including Twitch Prime, Prime Reading, and now Amazon Music Unlimited. While Amazon has been offering Prime Music, which offers Prime members streaming of up to 2 million songs at no additional charge, for quite some time, Music Unlimited will offer tens of millions of songs, thousands of hand-curated playlists, and personalized stations for just $7.99 per month or $79 per year ($6.58 per month). Considering Amazon’s biggest competitors Spotify and Google Play Music charge $9.99 per month, Amazon’s Music Unlimited will be $2 to $3.41 cheaper depending on the plan selected. If you’re thinking this is too good to be true, it may be depending on whether you’re an Amazon Prime customer or not. The special $7.99 per month or $79 per year pricing is only available to Amazon Prime customers while non-Amazon Prime customers will need to fork out $9.99 per month, just like Spotify and Google Play Music. Furthermore, Amazon will also offer owners of Amazon Echo devices an even more discounted plan of just $3.99 per month however, this plan comes with a catch as well. The Echo plan will require customers to own an Amazon Echo and play music exclusively through that device. Amazon will also unveil a Family Plan down the road which will offer all the benefits of Amazon Music Unlimited for up to a family of six for $14.99 per month or $149 per year ($12.42 per month). Those interested in signing up for Amazon Music Unlimited can check it out here.